In the days and weeks following the tragic violence at Sandy Hook Elementary in Newtown Connecticut, observations made years ago in response to the terrible event at Virginia Tech may seem understated. Our hearts go out to families and individuals who are affected by the violence and loss. News and internet coverage of the terrible events at Virginia Tech is overwhelming. Our thoughts and prayers go out to the families who lost loved ones, those who were injured or traumatized directly by the violence, and the community that must still be reeling from the events of the day. Families of children with special needs who have loved ones who attend or work at colleges or universities are especially vulnerable to high levels of stress and anxiety following this incident. For a long while it may be difficult for any of us to feel at ease about our loved ones who study, live or work on campus. Our children will be hearing news coverage and discussion about the shootings at Virginia Tech as well as coverage of past deadly violence at schools. It is important that we recognize that they may have fear and heightened anxiety, troubled sleep, irritability and even depression due to their worries. While we understand that teens and young adults and their families may feel overwhelmed by the Virginia Tech shootings, we may forget that even young children are susceptible to the horror of the reality and significance of the violence and loss. A child's fear of being left alone even in familiar surroundings or abandoned to the care of strangers may signal a post traumatic stress reaction. Even grown children may need reassurance, a listening ear, and empathetic response to their fear, anger and disbelief. They may move through the stages of grief that so often follow great tragedies without being able to talk or be counseled when loved ones or trained professionals are available. It can easily take years for a young person to come to terms with trauma, and they can be thrown in to the depths of despair without warning when a similar event reminds them of their own significant event. Children need to know that they have support during times they do not feel strong, and that asking for or seeking help is important no matter how independent and brave they may be. Sometimes children who have been taught what to do in a time of crisis, from 'stranger danger' to emergency situations, feel guilty that these lessons were either inadequate or did not come to mind during a dangerous situation. They may start obsessing on what might have happened if they had taken different actions or reacted earlier, even if they did what was best in the situation. We should not expect a higher level of performance in our children than in soldiers on a battlefield, police or firefighters. They need to be reminded that they did the best they could in the circumstances, and that even professional first responders do benefit from counseling and ongoing support services after traumatic events. 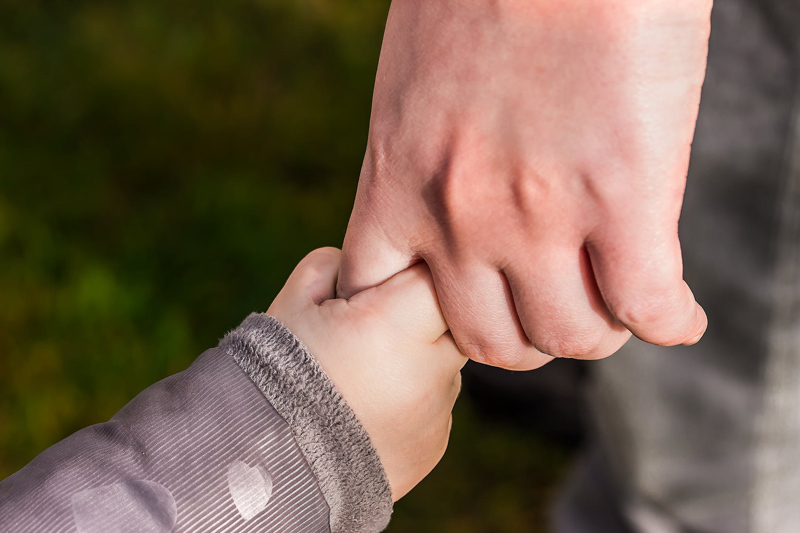 Health and safety issues are often priorities for families of children with disabilities when planning support and accommodations for their sons' and daughters' special needs at school and other programs. These issues have been highlighted due to the difficulties and dangers experienced by people with disabilities who were displaced by the Gulf Coast hurricanes, terror attacks on September 11th, and other events. Families of children with developmental disabilities, chronic health conditions or other special needs are aware of the dangers of school bullies as well as mainstream students who have been desensitized to the humanity of their classmates through prejudice, general acceptance of derogatory language, and the thoughtless violence of video games, movies and television programs. Previous school violence episodes showed how vulnerable every student is to individuals with untreated or undertreated mental health issues, and those with utter disregard for human life, acting out in rage against the world. Families of children with special needs are often frustrated by discussions of how we could have recognized these individuals in time to protect our children, because so much behavior, and early signals that something terrible is going to happen, is ignored or dismissed as 'out of proportion' concerns of over-protective parents. If only it were so. Our children are easy targets. The tragedies at Virginia Tech and other schools remind us that their mainstream peers and teachers are easy targets for determined individuals, too. We need to continue working toward safer, inclusive communities for all. Parents and other caregivers can be greater supports for children when we seek out support and encouragement for ourselves through extended family, friendships, support groups, religion, counseling and other avenues. Sometimes a hug is worth a thousand words. No matter how strong and self-confident we may feel in everyday life and ordinary crisis situations, some events are overwhelming and we need a bit of help to carry on. We are good role models for our children when we recognize and accept support during troubled times. Her son has Charcot-Marie-Tooth disease, is legally blind, with a hearing deficit - but she gets teary-eyed only when she mentions he can't go out and just get a job like anybody else... - oh, man.